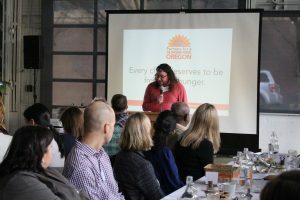 Community and business leaders gathered at Cooper’s Hall on March 12 to learn more about how hunger affects kids in Oregon – and solutions to reduce that number. 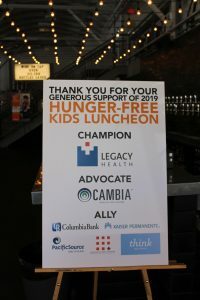 Thank you to all who attended the Luncheon and gave generously to raise funds for Hunger-Free Kids Initiatives! Special thank you to the sponsors of the event, who helped make the event possible. And thank you to the funders who have made grants in support of these programs. 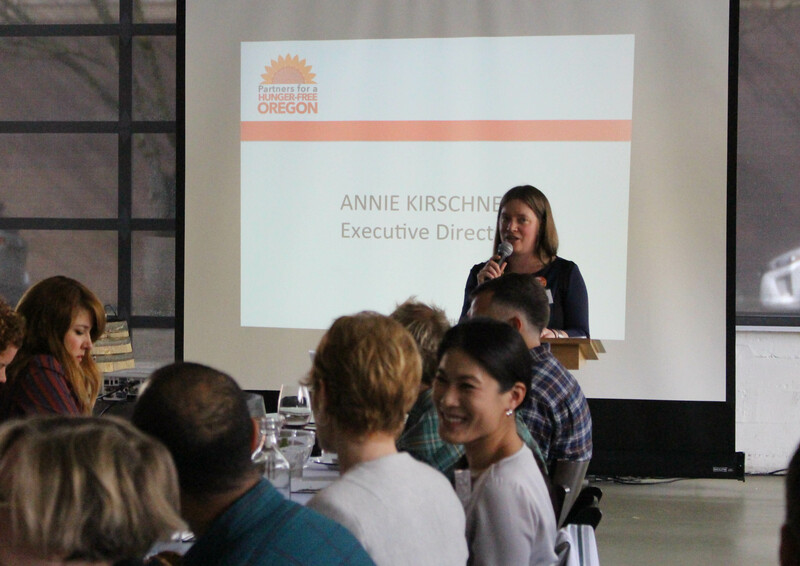 Multnomah County Commissioner Lori Stegmann (District 4) kicked off the luncheon. As an elected official, she has focused on ensuring families have the resources to provide for themselves. She highlighted county anti-hunger and anti-poverty programs, including summer meals! Thank you to Commissioner Stegmann and fellow elected officials – Commissioner Sharon Meieran and Chair Deborah Kafoury for your leadership in fighting hunger and poverty. 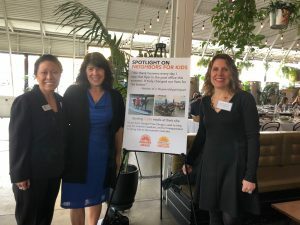 Toby Winn, Executive Director of Neighbors for Kids, a coastal nonprofit in Depoe Bay shared about the importance of food programs year-round. 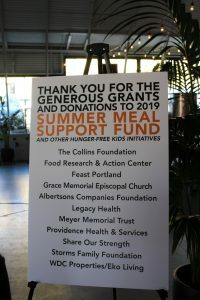 Thanks to donors from the Hunger-Free Kids Luncheon and generous funders, Hunger-Free Oregon is able to make grants to organizations like Neighbors for Kids to fund summer meal sites! Neighbors for Kids has a seamless program from preschoolers to high school students, ensuring they are fed and have a safe place to be after-school and in the summer. Located between Lincoln City and Newport, they also strive to ensure kids have access to coast activities like surfing! 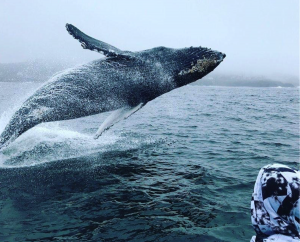 Toby shared a picture of a whale seen during last summer’s field trip! The good news is – we know how to overcome these barriers, for poverty and hunger. 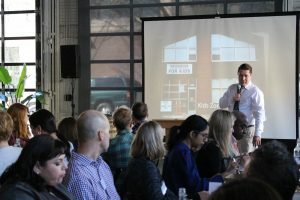 We have tools to expand access to food for our friends and neighbors. And we will continue working with those impacted by hunger, and advocating for changes to systems to create a more just state. Preventing hunger at the scale of the problem is hard work. It will take all of us together, bringing resources and connections, stories and power to address the problem. If you are inspired to contribute to Hunger-Free Kids Initiatives, you can do so here.